On August 10, eight of us dined at Po’Shines de la Soul, a black-owned soul food restaurant with a Cajun flavor in North Portland. It’s a small place with big windows on two sides, large overhead silver pipes and several golden chandeliers. On the walls are paintings and photos of African-American life, including a large picture of Malcolm X and Martin Luther King Jr. laughing together. There’s a giant gum ball machine near one window and a diverse mix of people eating or coming in to buy pastries. 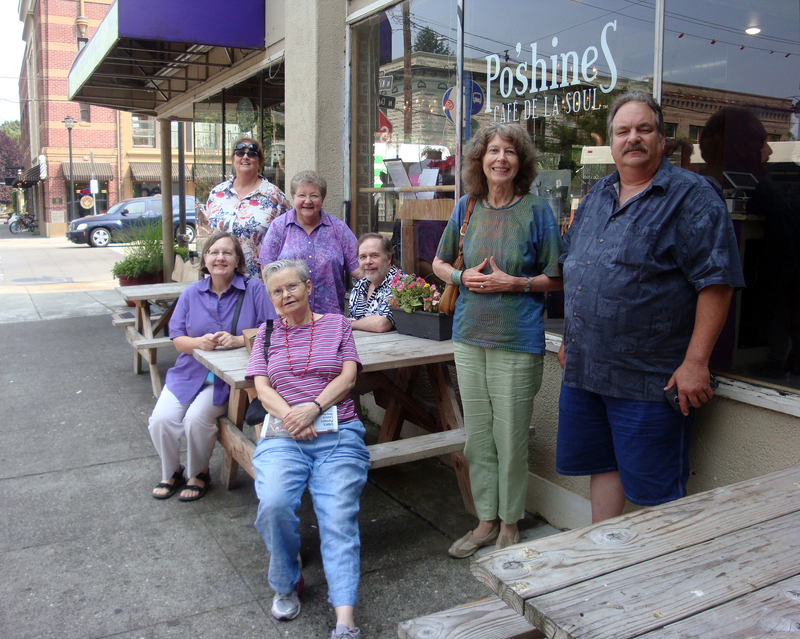 Our lunch at Po’Shines was part of a Portland-wide initiative to combat racism by supporting black-owned restaurants. We were also celebrating 106 years of the TS in Portland (August 10, 1911) which is actually 127 years if you count the earlier Willamette Lodge started in 1890. Reflecting on our Lodge’s long history and a recent National Board meeting he attended, Lodge President Wallace Rainey remarked on the tension between honoring that historical legacy while not getting stuck in the past. Now in the twenty-first century, he said, we should look for ways to keep our message relevant and current.